Heather is a complete professional. Her experience helped us greatly in the process of finding our new home.  We would use Heather again if we decided to sell our home or to buy another home. Heather was a recommendation we received from a friend of a friend when we found out we were being transferred to St. Louis – we were indeed grateful to have found her! She is incredibly knowledgeable about the St. Louis area, listened intently to what our needs were and was a true pleasure to work with! We worked with Heather for over a year to find a home for our family and she was a pleasure to work with. She showed us a number of homes and was always on top of the market, keeping us apprised of new listings she thought we might be interested in. After we found a home to purchase, Heather had our home listed on the market asap and it sold in one weekend. She is an expert in the St. Louis market, specifically new construction. She will assure your closing process is seamless and is a complete professional. Heather is a pro! She was very responsive and made the whole process easy. She was always available to talk or text and was helpful getting forms signed quickly and effectively. I would highly recommend her and her team. When it came to selling our house Heather was very knowledgeable of the process we had to go through. Our house sold in no time and when we were looking for a new home she help us intensively to find the perfect one. We love our house and the location we live in. I strongly would recommend Heather to those who are looking to sell or looking to buy. She is so nice as a person and an excellent agent. Heather was extremely knowledgeable about the market and the areas we were looking in. Even though this was our second home she was sure to walk us through each step and was very attentive. She was easy to get a hold of and was able to work within our schedules. She was open and honest with us and we never felt like we were receiving stock answers. We are younger and in the past have felt like we were spoken to in a condescending fashion... but NOT with Heather. She treated us with respect and kindness as she treats anyone else. I saw a house I liked one afternoon. Before the day was over she had put me in touch with someone who could preapprove me for a loan and we had a contract with the owner. She also put me in touch with a contractor who could give me a price on the additional I required in order to build the house. She was on top of all deadlines. Everything went smoothly right through the closing.